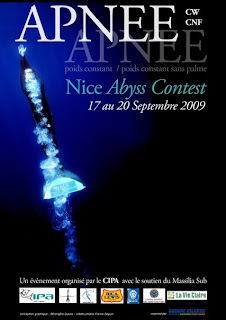 From the 17th to the 20th of September 2009 the CIPA organised the first depth competition from over the last two years. This national open competition with a ranking status lasted 4 days overall. Thursday and friday for training ... saturday and sunday for the official attempts. 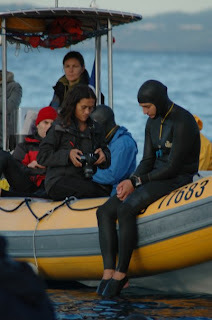 Unfortunatelly, having been sick for the whole week I didn't feel confident enouth to dive on saturday. 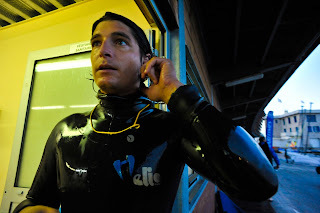 Finally on sunday I achieve the deepest performance of the comp with a 80 m dive ( 1 min 55 ). Second comes Nicolas Girardin with a 70 m dive. Jean Michel Pradon with 67 meters gets third. Many blackouts and disqualifications on the first official day. Many early turns on the second. Seems that playing safe was definitly the right strategy ! Actually, playing safe is always the right strategy !! !